Chop suey is typical of Filipino cuisine’s Chinese influence; the national twist on the original dish, an assortment of sauted vegetables and meat finished in a thickened broth, is provided by adding chicken liver and gizzards. Cooks are free to experiment with a variety of regional vegetables, but aim for balance in texture and variety in color. Chop the chicken breast, liver and gizzards with a sharp knife on a cutting board and season with salt and pepper. Shell the shrimp with your hands on a separate cutting board. Use the tip of a small knife to remove any black veins. Wash a selection of vegetables under cold running water and remove any discolored sections before chopping into florets or batons with a sharp knife. Use baby sweetcorn and peas straight from a can, once drained. Aim for a mixture of crunchy and soft vegetables in a variety of colors. Carrots, broccoli, celery and cauliflower all give texture and flavor. Saute the chicken first in a hot wok, along with some aromatics such as onion and garlic. Use an oil appropriate for high temperatures, such as sesame oil. Build the flavor by adding chicken stock and Asian-inspired sauces as opposed to dry spices, such as shrimp juice, soy sauce, oyster sauce and fish sauce, covering the wok and allowing the liquid to simmer gently for a few minutes. For a more distinct Chinese influence, cut back on the fish sauces and add chili flakes and Chinese five-spice powder instead for its cinnamon and aniseed aroma. Add the shrimp and vegetables, chopped and canned, stirring with a spatula to mix all the ingredients evenly, then cover once more and allow to simmer until the shrimp are pink and the vegetables tender but not soggy. Thicken the sauce for the final flourish with a few teaspoons of cornstarch dissolved in cold water and stir again until you have the desired consistency. Remove from the stove, transfer to a dish and serve with cooked rice. If you wish, toss some noodles into the wok before serving to make a chow mein, but keep the main appeal of the dish the refreshingly crisp vegetables. You can add chopped pork, either smoked chop or belly, into the wok to cook along with the chicken. 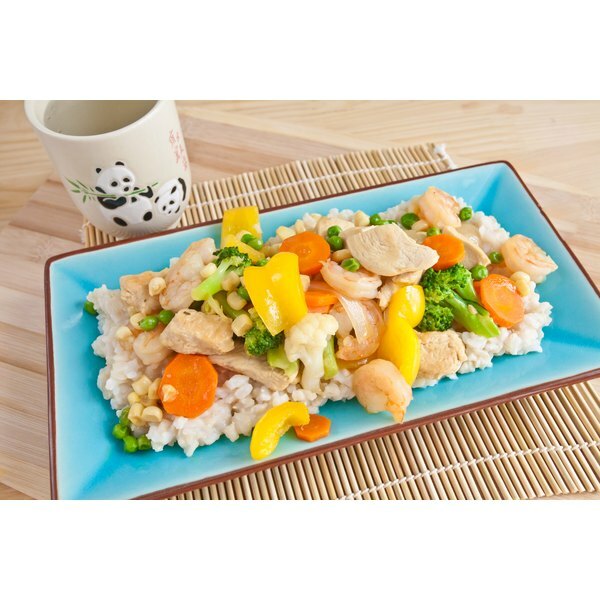 For a vegetarian version, substitute extra-firm tofu for the meat and use vegetable stock. Chicken breast does not need washing under cold water; this risks splashing bacteria on other surfaces and utensils. You can wash chicken by squeezing the juice of half a lime and rubbing the juice over the chicken. Avoid overcooking the vegetables. Check regularly to make sure they remain crunchy rather than turning soggy, particularly if adding bean sprouts, which stand only a brief session in the wok before they lose their snap. 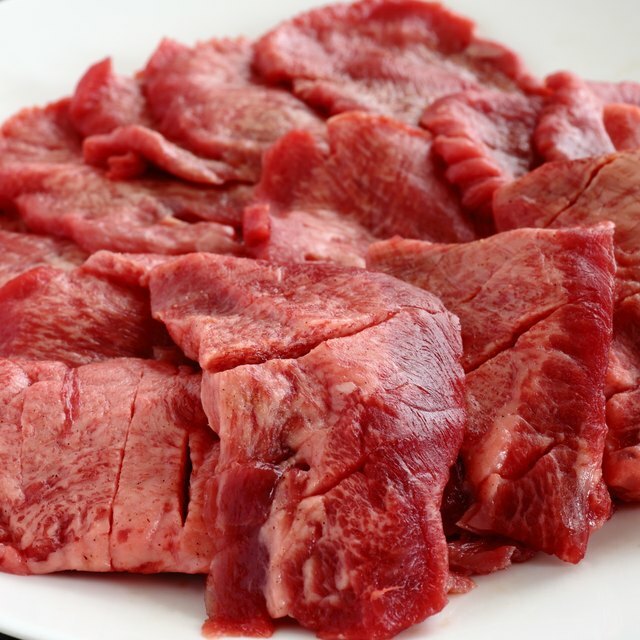 What Can I Cook With a Beef Tenderloin Tail?